Conference of Presidents blasts UN report accusing Israel of being “an apartheid regime”. The report was co-authored for ESCWA by former UN Human Rights Council Special Rapporteur, Richard Falk, who during his tenure repeatedly attacked Israel with expressions of hatred and disdain. Rima Khalaf, Executive Secretary of ESCWA, who praised the report, also has a history of abusing her position by making wholly unsubstantiated offensive comments about Israel, noted the Conference of Presidents in a statement. 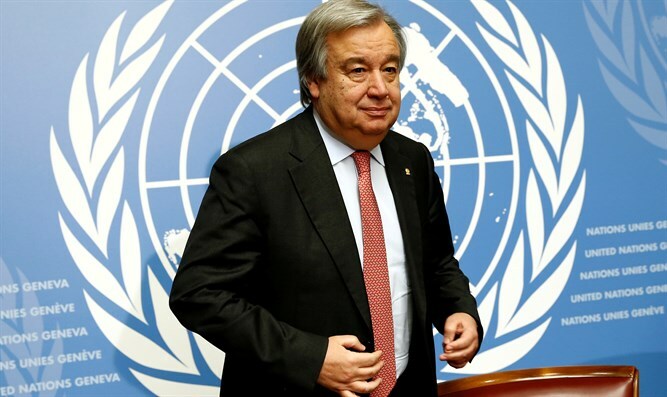 “Secretary General Guterres should unambiguously reject the ESCWA report and undertake to prevent similar unwarranted attacks in the future,” they added. “We applaud U.S. Ambassador Nikki Haley’s clear condemnation of the ESCWA report and her strong reaffirmation of the U.S. commitment to oppose anti-Israel bias across the UN system and around the world,” said Greenberg and Hoenlein.